Support strength and wellness throughout your pregnancy. Work with a teacher certified in prenatal yoga to explore a safe, nourishing practice to support your pregnancy and prepare you for delivery. Through a yoga practice designed to support the rapid physical changes of pregnancy, you can build strength, increase stability, ease discomfort and create space for carrying your baby. Ease labor, delivery and recovery. Prepare for labor with poses that increase resilience and muscle strength, and breathing techniques that ease delivery. These practices also speed your post-partum recovery. 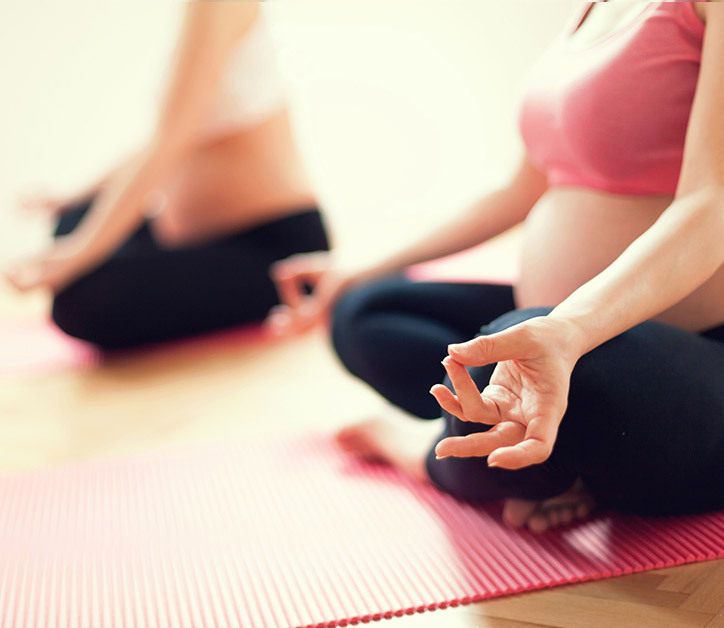 Join a prenatal yoga class. Prenatal classes are offered several times per year at Basil Yoga Center. Find a class on our schedule under our workshop page, book a one-on-one session with a certified prenatal teacher, or call us to learn more.